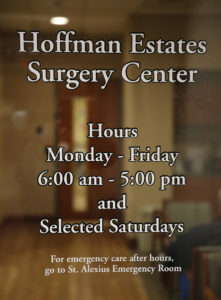 Hoffman Estates Surgery Center is specifically designed to be comfortable, convenient and an excellent alternative to hospital-based surgery. With more than 11 years of experience delivering surgical care to our community, we continually offer patients the benefits of advanced technology, outstanding clinical talent, compassionate patient care and superior patient satisfaction. Our physicians and surgeons come from several leading group practices throughout the area. Jeff Jagmin, MD * Medical Center Anesthesia, Ltd.
Abraham Mathew, MD * Medical Center Anesthesia, Ltd.